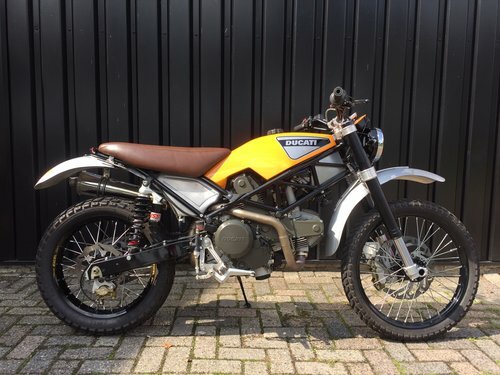 Unique, Ducati Scrambler 600 Enduro, built by Star Twin Technique. 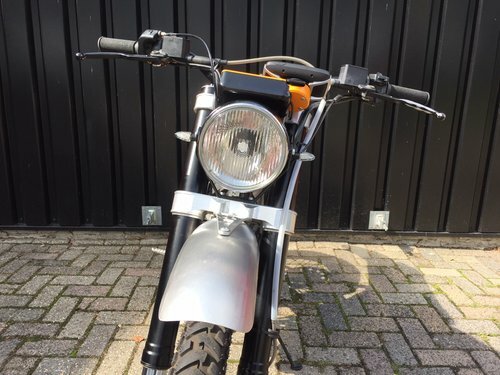 Commissioned by old GP motorcrosser Gerrit Wolsink, this ultra-narrow, light and primal reliable Scrambler was built a few years ago. 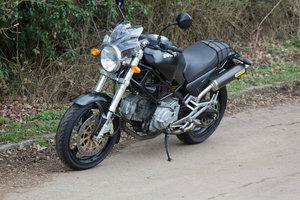 This motorcycle is completely new built with a Monster 600 as base. 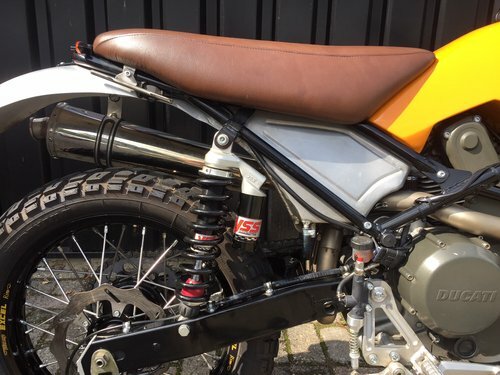 Equipped with, among other things, the custom Ducati frame with the custom made aluminum tank / seat combination, exhaust system, airbox, footrest sets etc. 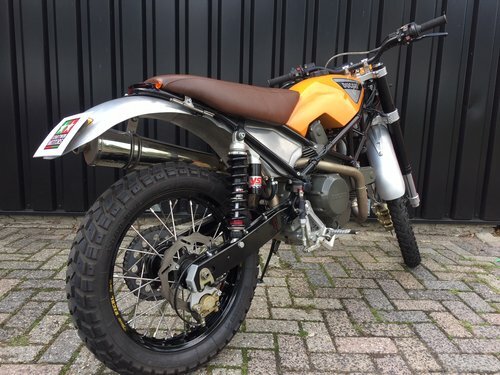 The wheels, hubs and front fork come from KTM and are all tailor-made for this "off road" project. 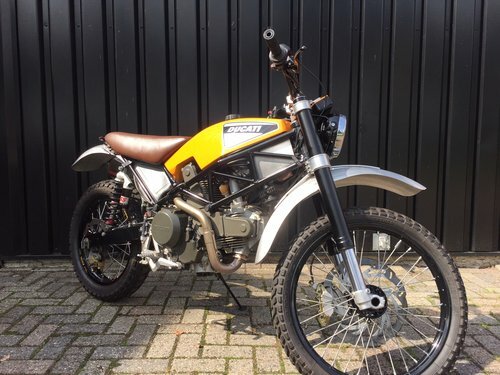 In short, a unique Scrambler built and put together by real enthusiasts and experts. 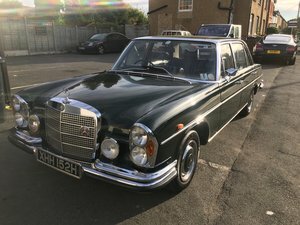 For more information about possible trade-in, financing possibilities or making an appointment for a test drive, please contact Henk-Jan Wolff. 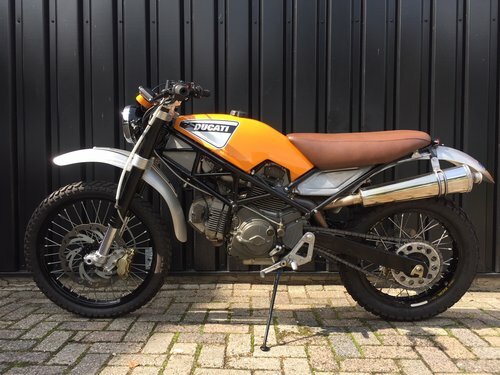 Star Twin Motors: The Italian motorcycle heart of the Netherlands! 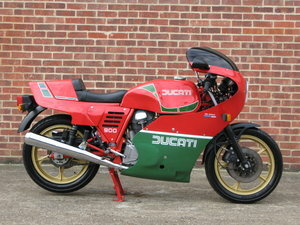 Official dealer of Ducati since 1983. Service dealer of Aprilia, Benelli, Cagiva, Husqvarna, Moto-Morini, MV-Agusta and SWM. 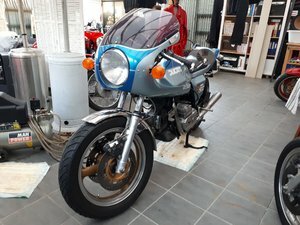 1981 NCR TT 600 road bike. 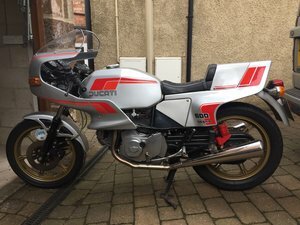 Ducati Pantah 600 de 1983.